Very exciting news for all of us here at Customized Girl. 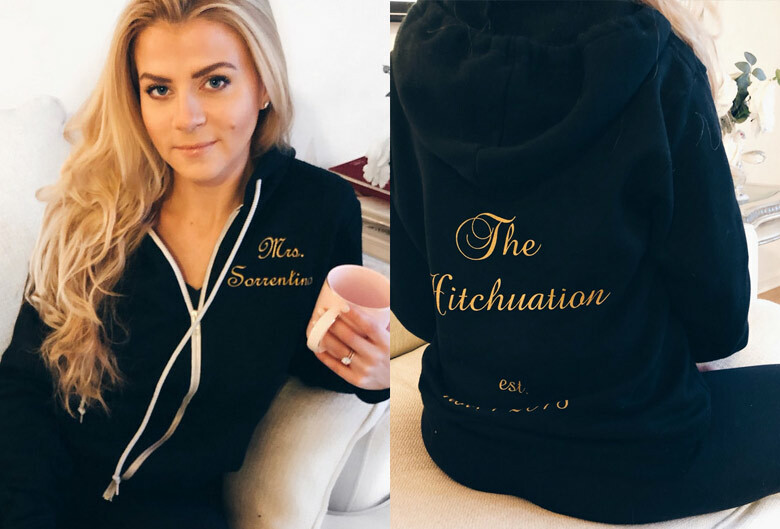 Mike “The Situation” Sorrentino and his beautiful wife Lauren Pesce wore our Custom Sweatsuits on the day of their wedding. 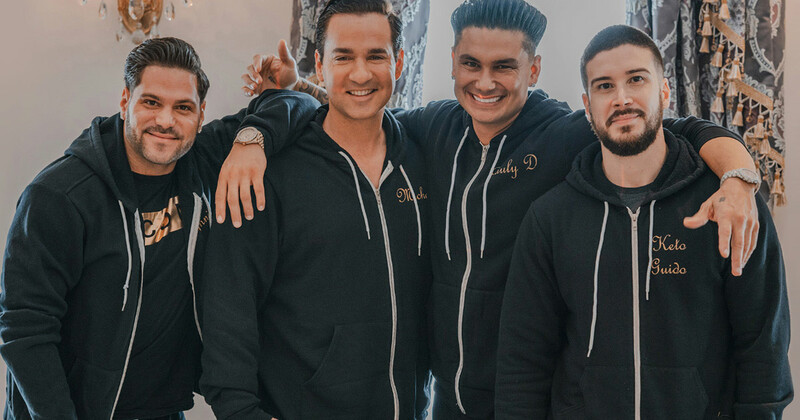 In fact, all the guys from the Jersey Shore wore custom printed hoodies and sweatpants. They posed together for this incredible photo, and we have to talk about why we like it so much. 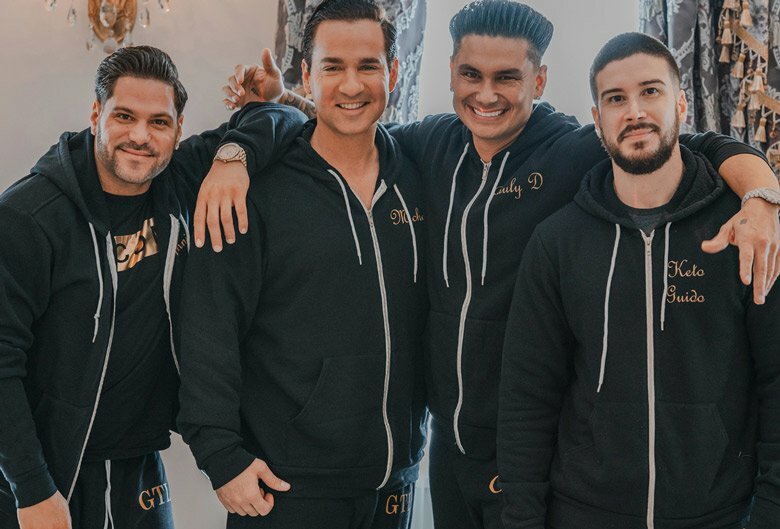 First of all, the sweatsuits themselves. Gold ink printed on black full-zip hoodies and black joggers. White trim. White drawstrings. High contrast. Just beautiful. Secondly, the room. Beige walls with dark gray (almost black) curtains. And then, more gold! Gold on the curtain, in both the pattern and the tassles. Gold lighting fixtures with dangling crystals. The sweatsuits in front of this perfect backdrop, and a bunch of great smiles, make for a terrific photo. Lauren was also wearing a gold design printed on a black sweatsuit, and she too looked amazing leaning back on a white couch. Her full zip hoodies says “Mrs. Situation” on the front and “The Hitchuation” on the back, a joke which is still very funny to us. The Hitchuation. Lol. We wish the newlyweds all the happiness in the world, forever and ever. Thanks so much to them and everyone who took these photos. Credit to Anthony Serrantonio for the photo of Mike. 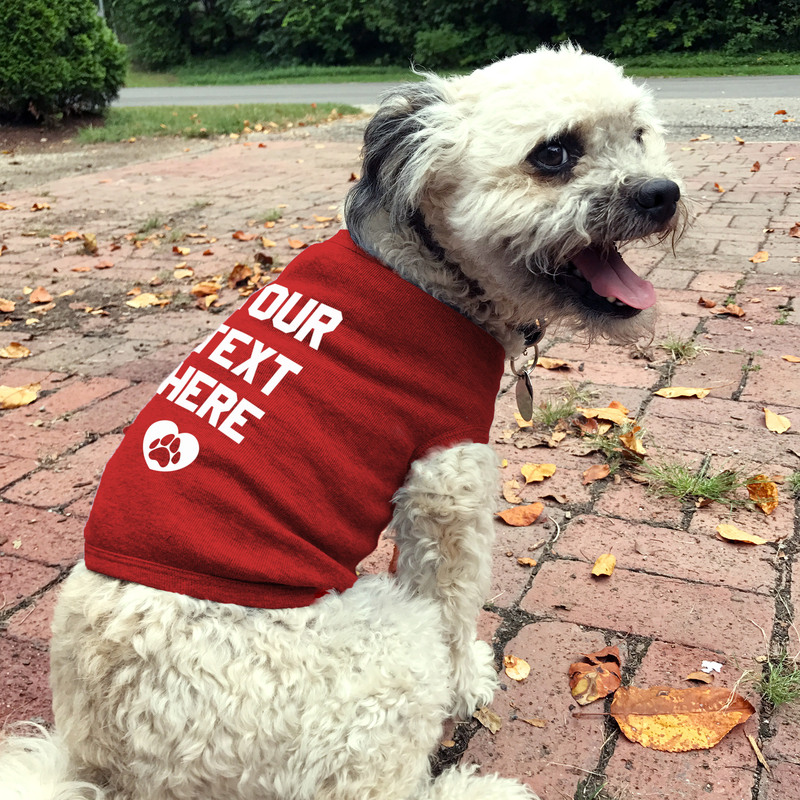 If you want to design your own, check out our custom sweatsuits here. 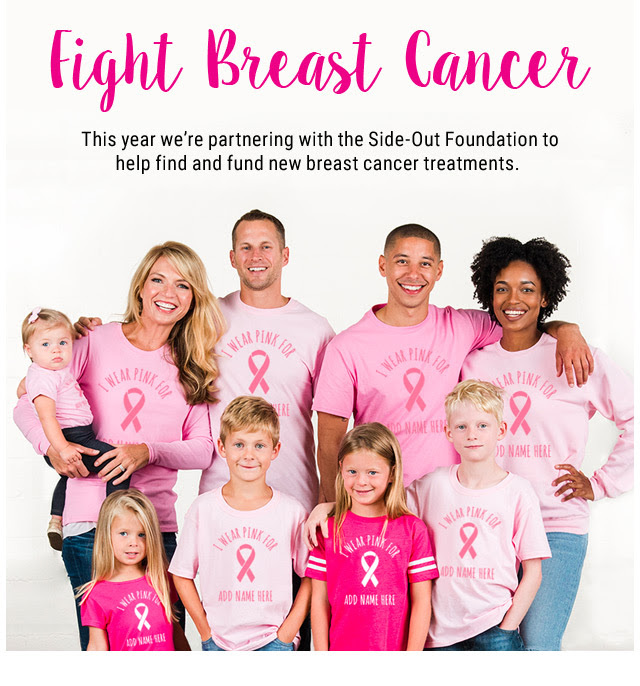 This October, we raised $613.90 for Side-Out.org. By combining volleyball and fundraising, Side-Out.org is having a real impact. We’re impressed. We share Side-Out’s love of volleyball. We sell all kinds of great V-Ball gear, from personalized volleyball bags to volleyball mom shirts. But it’s interesting, our best selling item in this category is — by far and away — this Volleyball Blanket. It’s a little random! We wanted to thank both Side-Out.org and our customers for your help this year. A portion of your Breast Cancer Shirt purchases went towards this fundraising effort. We’ve been doing this since 2012 and hopefully we can keep doing it until 2112. Cheers. The big trend this holiday season is going to be hilarious custom pajamas for the entire family. 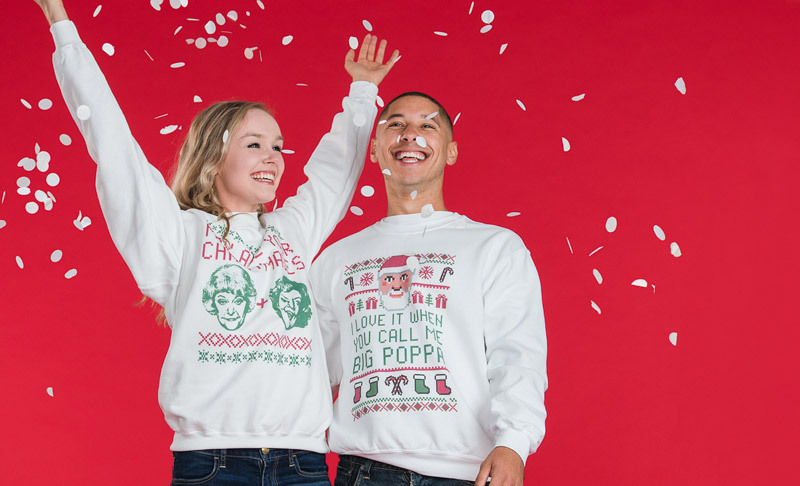 Add your family photo and ugly christmas sweater graphics above and below. It will be so great when you all wear your matching jammies together. But it’s going to be a busy holiday season! We strongly recommend that you place your orders as soon as you can! Even in October! Shop at Customized Girl now. Family Reunion? Charity event? Small business? 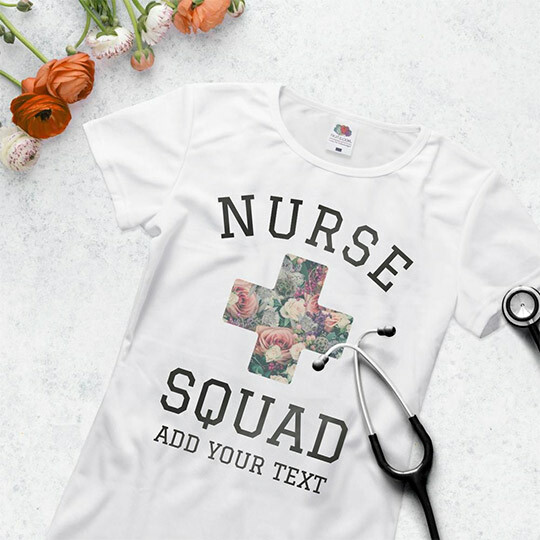 There are so many reasons to create custom group shirts. 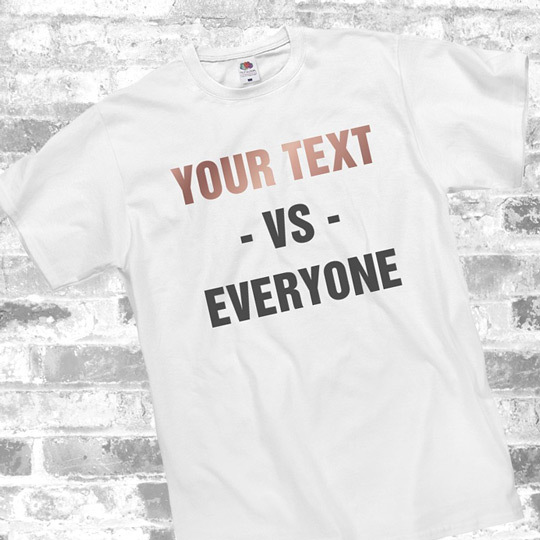 You may think creating custom shirts for you group is way too complicated. It doesn’t have to be! 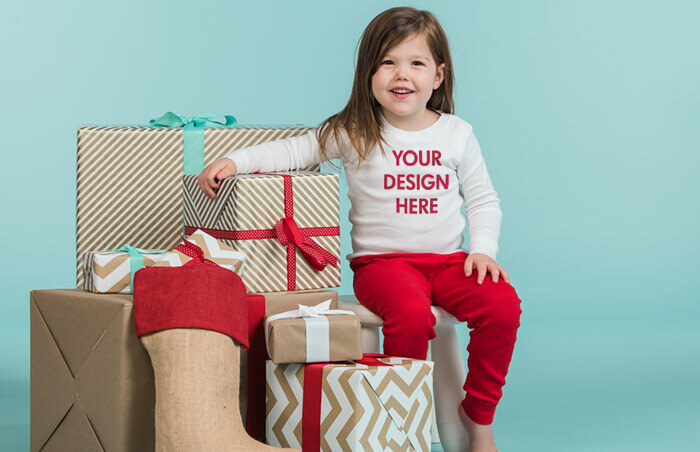 Our design center is full of fun and easy ways to make customizing a breeze. 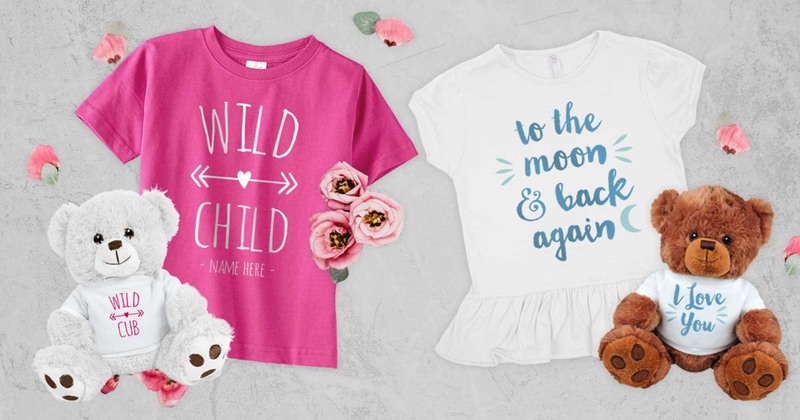 Customized Girl’s one-of-a-kind design center allows you to save designs and revisit them when you are ready to adjust, complete, or purchase your custom items. This allows the customer to create a design but not order right away. After hitting our “Save” button located in the design center, you will then be asked to sign into your account. Once you sign in, you will be able to save your design. These designs can be retrieved under the “My Account” option. Why would you choose Customized Girl over your local screen printer? To get right the point, Customized Girl does not offer screen printing. You might ask, why? 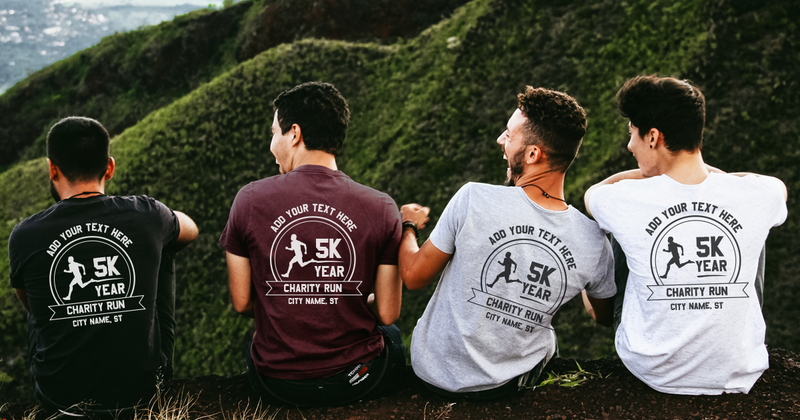 This way we can give our customers more flexibility and more options at the same level of quality by using direct-to-garment digital printing. 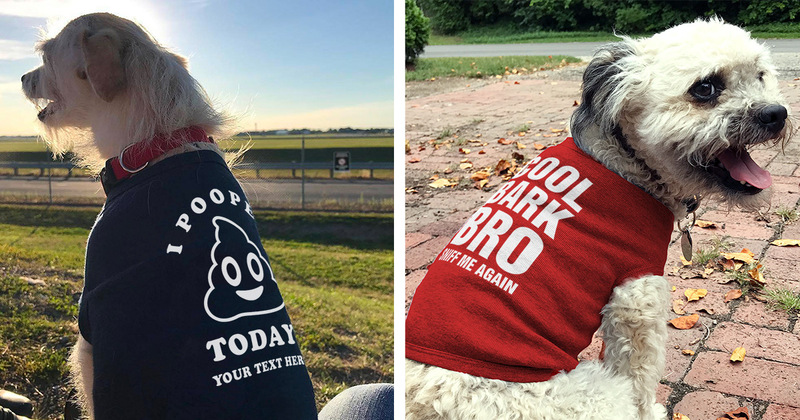 Unlike screen printers, your designs don’t have to be identical. 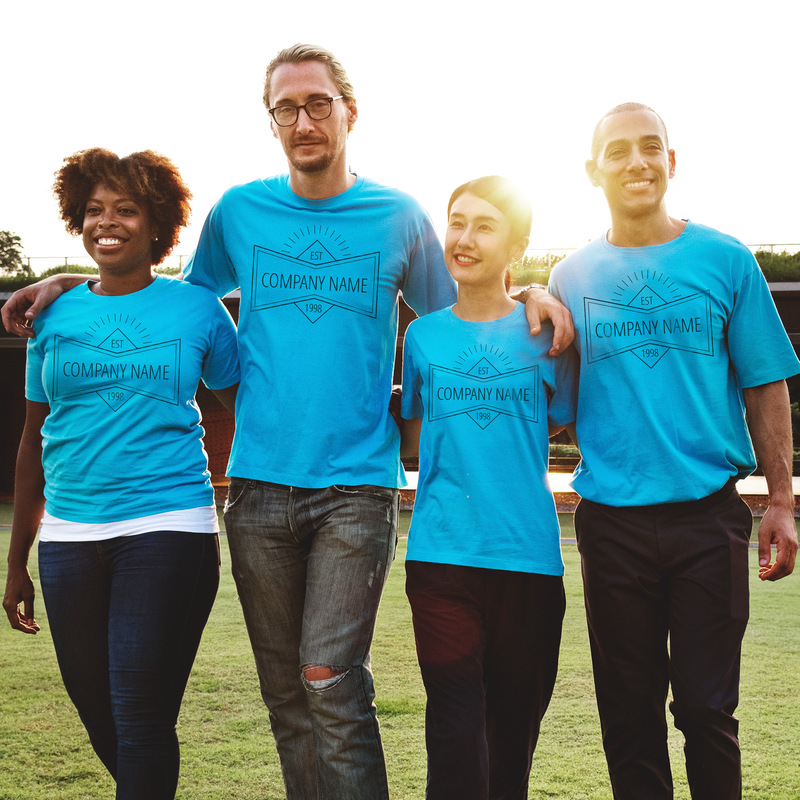 Instead we offer custom group shirts at screen printers prices and in doing so we are creating some incredible deals for our customers. Great deals that start at only 6 items. 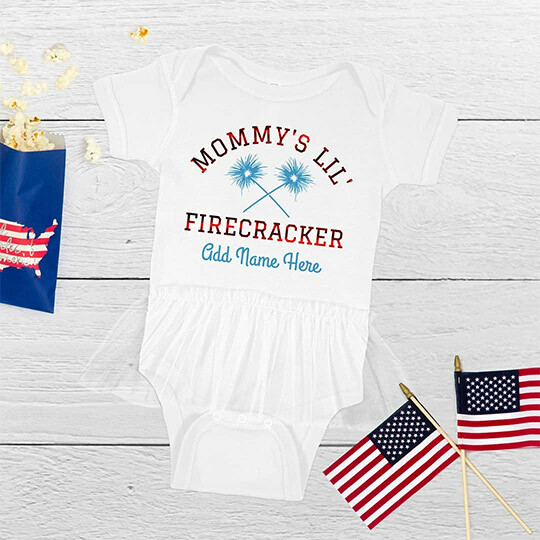 This means you can add any six items, featuring any six designs, and you will see a discount in your cart. It doesn’t matter if your items match or if each one is completely different – we’ll still give you the discount. How can we offer this? No set up fees. 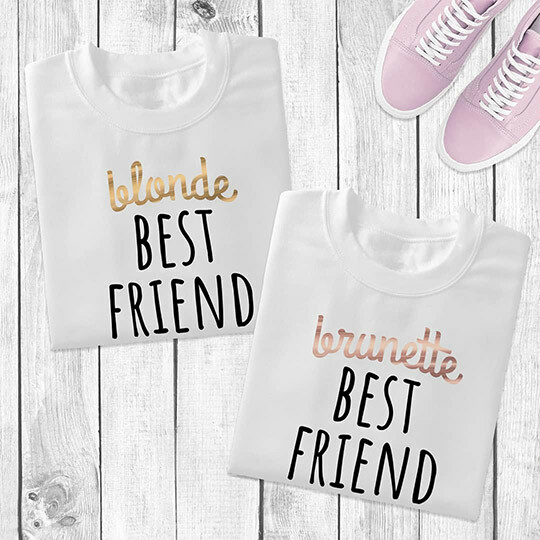 You can easily personalize each shirt with each person’s name, number, or nickname AND on different styles. It doesn’t end there. Add as many colors as you want. It won’t cost a dime more. This means you can add full-color art from our enormous library or upload full-color photographs. You can even add up to ten different text colors. This isn’t possible for screen printers because each new color means a new screen which also translates to more money. The discount increases at every integer. Buying 7 items gives you a bigger discount percentage than buying 6. 8 items is better than 7, and so on. This great deal continues all the way up to 48. What if you only need 5 items? Customized Girl’s no minimums policy is hard to beat. Our process is the same if you order 1 item or 100 items. We are more than happy to offer great prices for just one item. We know that designing can be tricky. If you need any assistance please do not hesitate to contact our amazing customer service team. They would be more than happy to help you with your design from beginning to end! 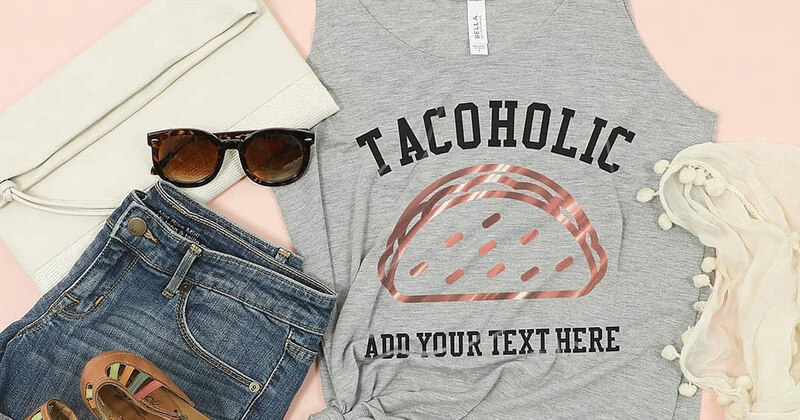 Let us know your favorite reason for designing custom group shirts and share your designs with us via Facebook, Twitter, or Instagram @CustomizedGirl!